Casio America is releasing three new vivid colorways for the Pro Trek PRG-330. 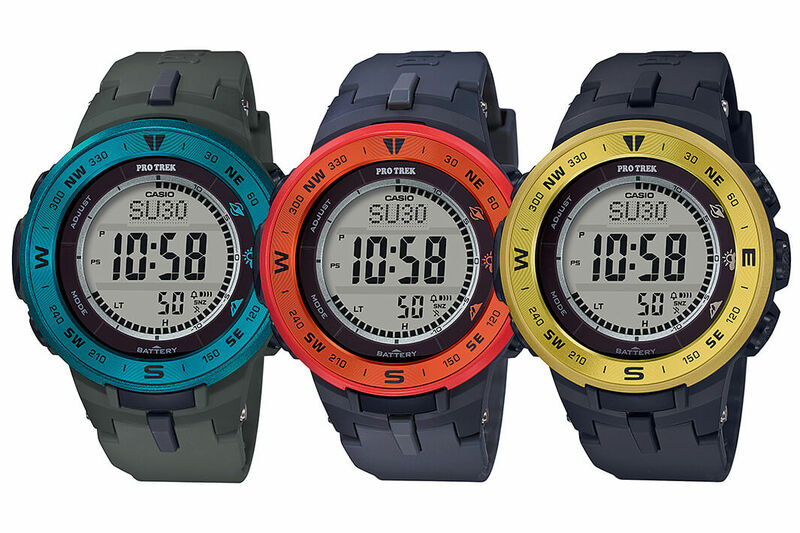 The blue PRG330-2A, red PRG330-4A, and yellow PRG330-9A feature colorized aluminum bezels, the battery-efficient Triple Sensor Version 3, and a compact case. The vivid metallic bezels are designed to match colorful outerwear. 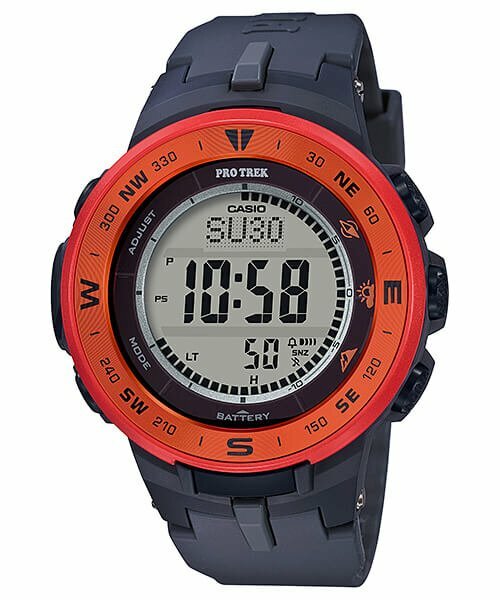 The Triple Sensor includes a pressure sensor for altimeter and barometer readings, a compass bearing sensor, and a thermometer sensor. 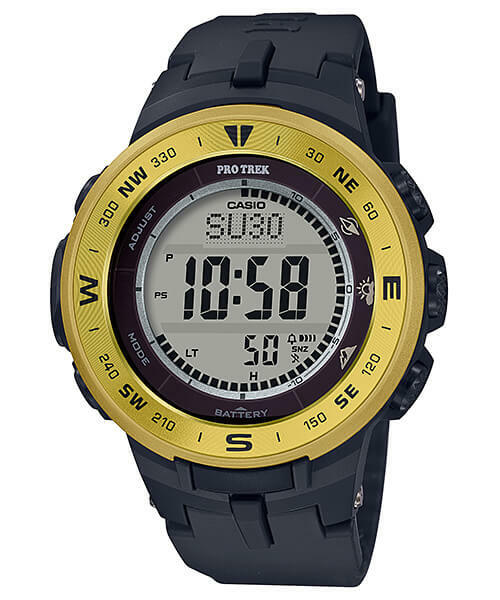 Other major features include Tough Solar power, 100-meter water resistance, sunrise/sunset times, world time, 1/10 second stopwatch (1000 hours max), countdown timer (24 hours max), 5 daily alarms with 1 snooze alarm, hourly time signal, and a Super Illuminator LED backlight with afterglow (1.5/3 seconds). The PRG-330 measures 56 x 47.1 x 12.7 millimeters and weighs 58 grams. 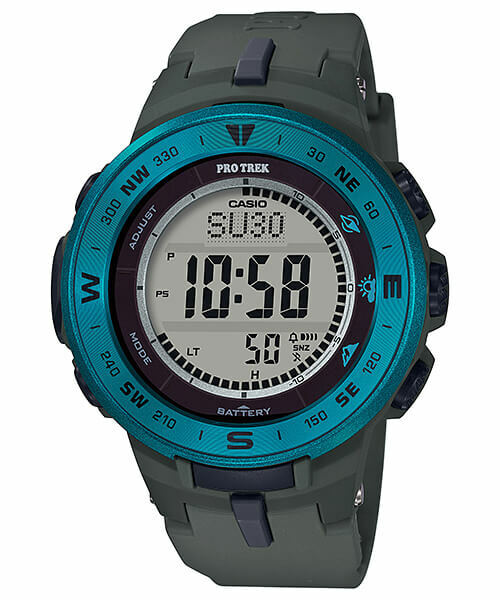 Casio America previously released the black PRG330-1 and pink PRG330-4 in 2018. Blue bezel with dark green resin band. Red bezel with dark gray resin band. Yellow bezel with black resin band.